In its applications to values the Oxford School focused on what RM Hare called ‘all purpose’ generic value terms such as ‘good’, ‘right’ and ‘ought’. The resulting theory like much of Anglo-American analytic philosophy has been correspondingly generic in focus. Analytic philosophy offers particular strengths. Like mathematics it provides a framework that can be used across a range of contexts: the premise of values-based practice in mutual respect and some of its training methods are generic in this sense. But like mathematics the theory of values-based practice needs added content if it is to engage with the specifics of real world applications. Assessment and diagnosis is one area where ordinary language philosophy in particular has contributed content. This is an important area for practice: how a health issue is managed depends critically on how it is understood (see the 3 Keys to shared approach in mental health assessment). But understanding is also critical for theory: substantive ethical disciplines (like medical ethics and bioethics) that seek to provide answers (based for example on utilitarianism), have standardly neglected problems of assessment and diagnosis (how a problem is understood). These approaches have focused instead downstream as it were, on treatment (how a problem is managed). Assessment and diagnosis, therefor, are areas of theory where values-based practice with its analytic origins nicely complements substantive ethics. Exemplary among ordinary language work on assessment and diagnosis is the North American philosopher and psychiatrist John Sadler’s Values and Psychiatric Diagnosis. 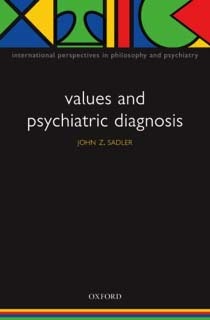 This book builds on John’s earlier studies of the language of psychiatry to give a detailed description of the wide variety of values (implicit as well as explicit) built into psychiatric diagnostic classification as reflected in the language of the American Psychiatric Association’s DSM (the Diagnostic and Statistical Manual). Sadler, J.Z. (2005) Values and Psychiatric Diagnosis. Oxford: Oxford University Press. Ordinary language and related methods have been used also in a variety of other areas of health-related practice. These include for example child and adolescent mental health, management, the medical humanities including spirituality, ethics, leadership, and a number of areas of secondary care (such as surgery). Example references are given below (see More about Ordinary language philosophy beyond the Oxford School) and in the next section (on The Practice of Values-based Practice). An important criticism of the Oxford School was that its ‘ordinary language philosophy’ amounted only to ‘ordinary English language philosophy’. Austin, again, would not have resisted this. The focus on English was a contingent not essential feature of ordinary language philosophy and indeed philosophers in line of descent from the Oxford School have shown the potential for moving beyond not just English but European languages as a whole (see Harré’s work on Maori and Inuit languages in the Read More section below). 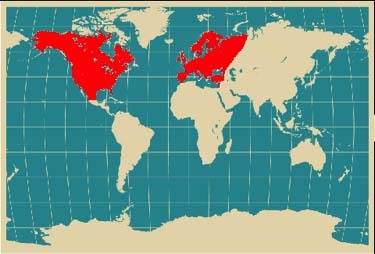 The potential for moving beyond European languages is evident from the fact that to date values-based practice has drawn largely on sources (analytic and Continental) representing little more than a quarter of the traditions of thought and practice available around the world as a whole.